Detroit Metropolitan Wayne County Airport, usually called Detroit Metro Airport, Metro Airport locally, or simply DTW, is a major international airport in the United States covering 4,850 acres (1,963 ha) in Romulus, Michigan, a suburb of Detroit. It is Michigan’s busiest airport, and one of the largest air transportation hubs in the country. The airport is Delta Air Lines’ second-largest hub in terms of daily flights. Detroit serves as the primary gateway to Asia for the Eastern United States for Delta and is also the third-busiest gateway to Europe for the airline. The airport is a major gateway for tourism in metropolitan Detroit and is one of SkyTeam’s major Midwestern hubs. It is also a hub for Spirit Airlines. 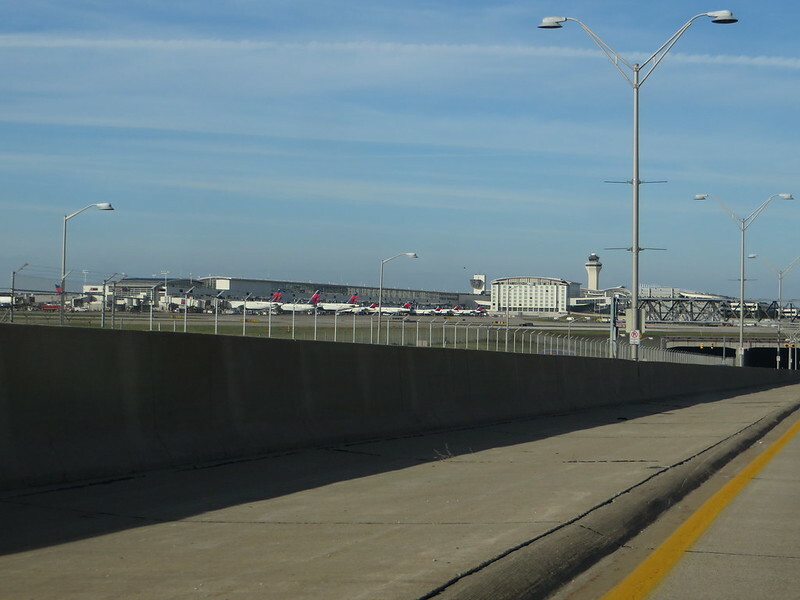 Operated by the Wayne County Airport Authority, the airport is one of the nation’s most-recently expanded and modernized airports, with six major runways, two terminals, 145 in-service gates, and an on-site Westin Hotel and conference center. Detroit Metropolitan Airport has maintenance facilities capable of servicing and repairing aircraft as large as the Boeing 747-400. In 2012 Detroit Metropolitan Wayne County Airport was the 16th-busiest airport in the United States and the 44th-busiest airport in the world in terms of passenger traffic. In terms of aircraft operations (takeoffs and landings), it remains one of the ten busiest airfields in North America. Metro Airport also serves the Toledo, Ohio, area, approximately 40 miles (64 km) south of the airport, and the city of Windsor, Ontario and Southwestern Ontario in nearby Canada. The airport serves over 160 destinations and was named the best large U.S. airport in customer satisfaction by J.D. Power & Associates in 2010. Image published by Ken Lund on 2015-09-26 05:13:20 and used under Creative Commons license.